Join the team at Macenmist Black Truffles and Wines for your ultimate truffle experience. Macenmist is nestled along the riparian corridor of the Cappanana River. This farming oasis is just under an hour’s drive from Canberra. At Macenmist you’ll enjoy views of the truffle plantation comprising Oak and Hazelnut trees and a vineyard in it’s infancy. Each tour has a special touch to ensure a special experience. At conclusion, you may be able to purchase black truffle that is available for sale or select from an assortment of gifts and memorabilia. 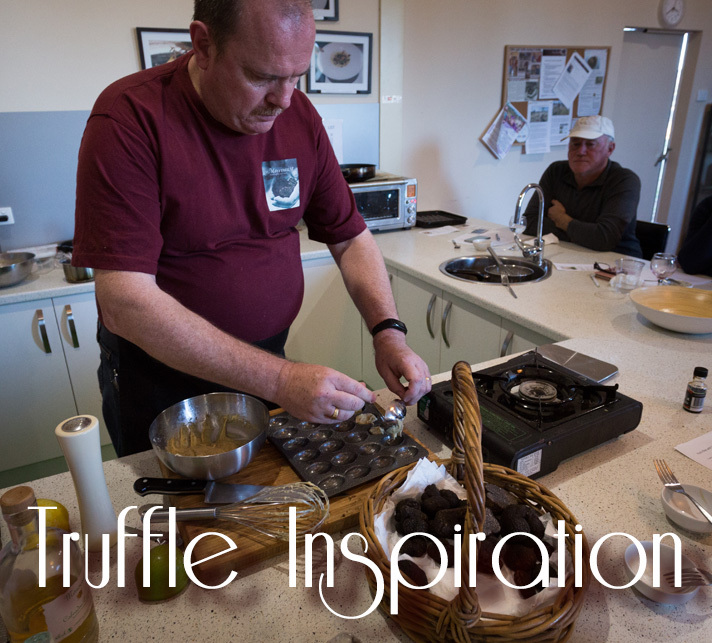 Macenmist are proud to be part of the The Truffle Festival – Canberra Region with regular events scheduled throughout the season. We also encourage you to take photos and post on social media. Make sure you use the #macenmist and #black-truffle hashtags when posting on social media. Maximum numbers apply so book early! For all Truffle Hunts, make sure you wear clothes and shoes that are suitable for a walk around a farm.